Photographer: Craig McDean. Model(s): Saskia de Brauw. Source: W Magazine. Stylist: Edward Enninful. Makeup: Peter Philips. 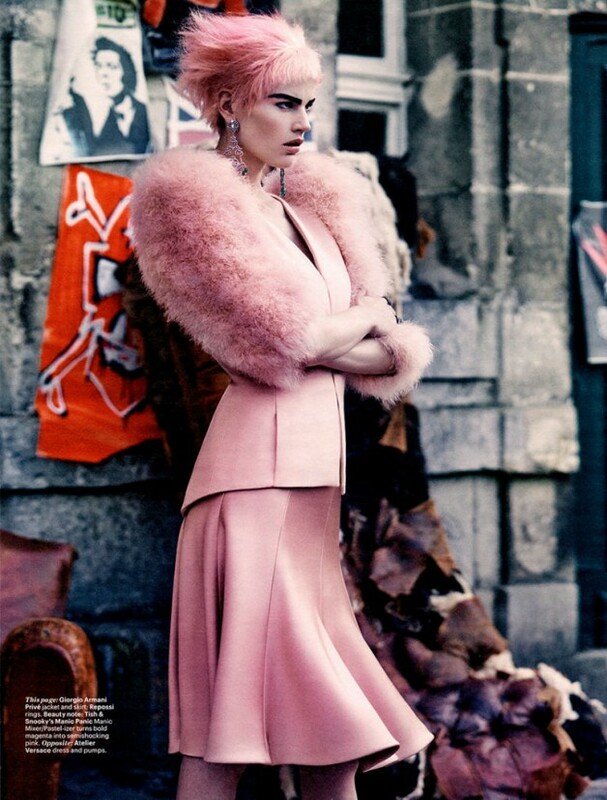 Hair: James Pecis. 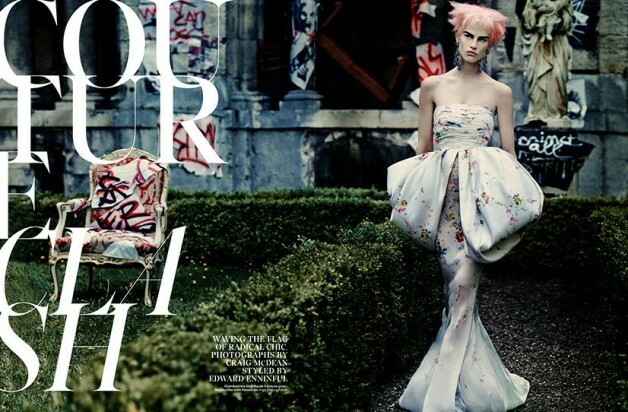 Making her anarchical arrival Saskia De Brauw shakes things up in ‘Couture Clash’ shot by Craig McDean for W Magazine. In the wake of one of the most vital resurgences the industry has ever experienced, McDean delivers Haute Couture the way it’s meant to be seen, through the lens of Modern Punk. Alluring and electric this edgy editorial shakes us out of our Couture-Coma with a clash of styles that dare to take a detour from Victorian era demure and crash into cutting-edge cool. 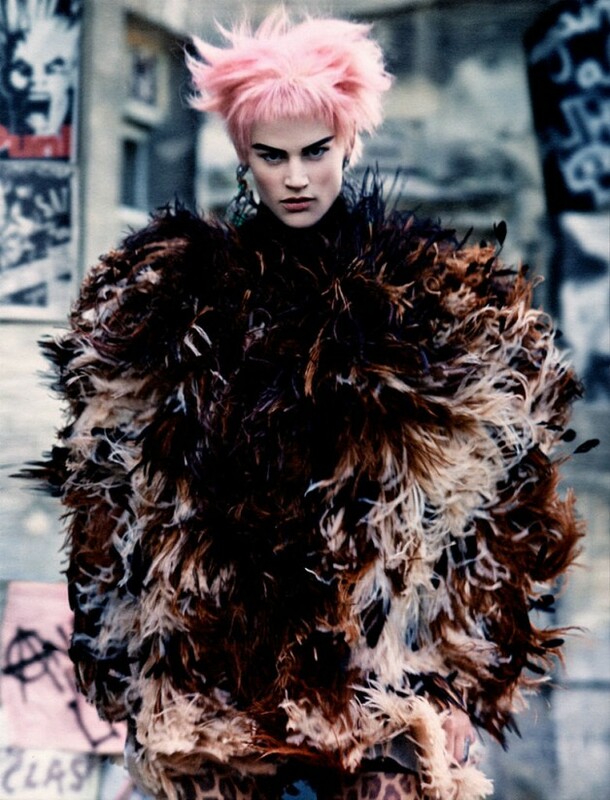 Fusing the fantasy of high fashion with the aesthetic elements of urban Punk, (Style Director) Edward Enninful’s masterful mix of style & scenery creates a cohesive vision of artistic excellence. 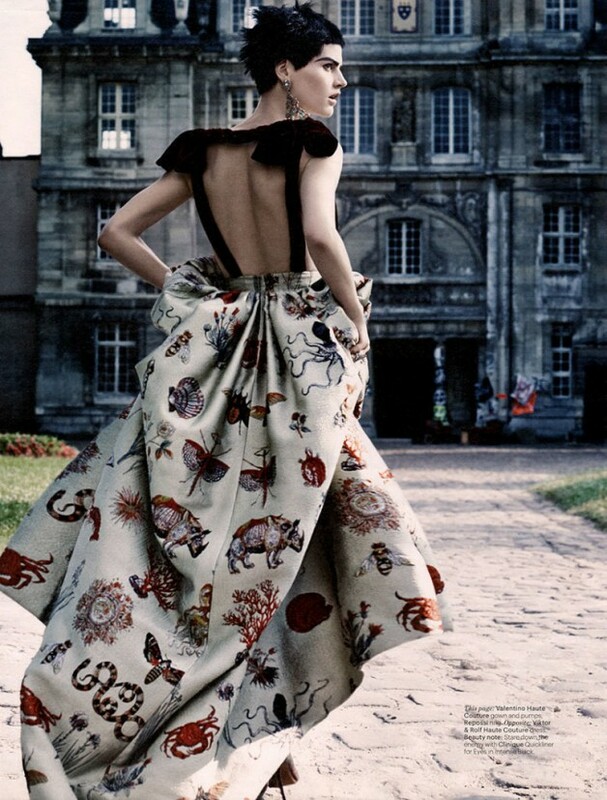 Two worlds formed out of a shared passion for freedom of expression, this exquisitely juxtaposed piece reminds us of the unique parallels that exist between Punk & Couture. ‘Waving the radical flag of chic,” Saskia is a walking work of art with multi-colored wigs & power-brows her presence makes as much a statement on strength as it does on style.